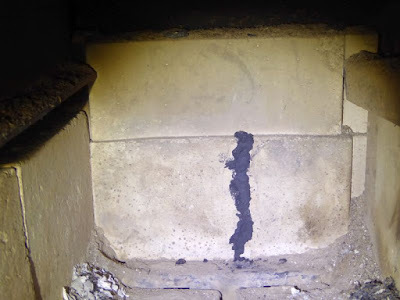 A comment on fire bricks: this is my third winter with a wood stove; the fire brick across the back crack within the first month of using it. After I got a within warranty replacement, I went looking for a scrap piece of expanded metal grating. I put it across the bricks that take a pounding when I top load my stove and have had no more problems with the fire bricks. The grating is getting very rusted and worn from the fire, so it is time to get a new one, but that is much easier than replacing firebrick. I was going to suggest a row of standard fire brick set in front of those in the back to take the punishment. Might be easier to just replace a brick or two of those every so often as opposed to finding a metal grating as the above commentor suggests (but I think he has the right idea here trying to protect the back bricks). 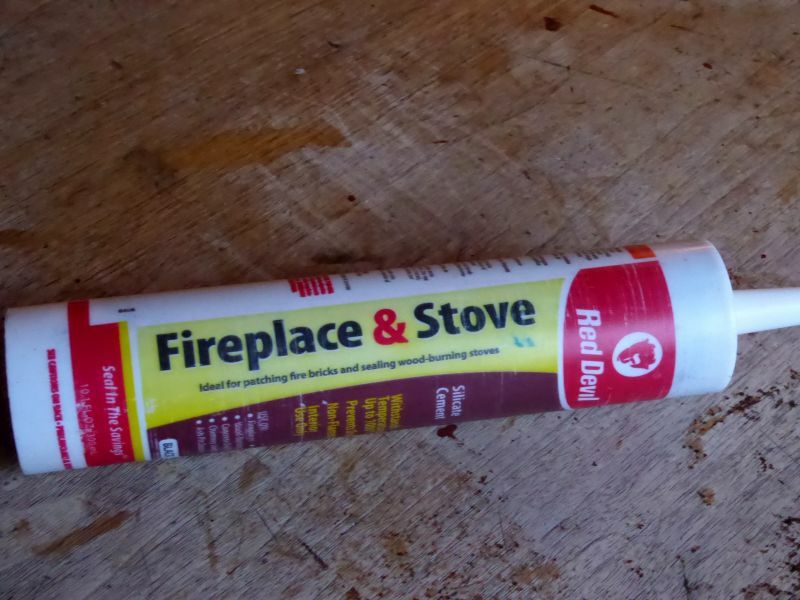 I don't think another row of standard fire brick would change the heating dynamics of the stove. Thank you very much for the update. I will be getting one in the near future. 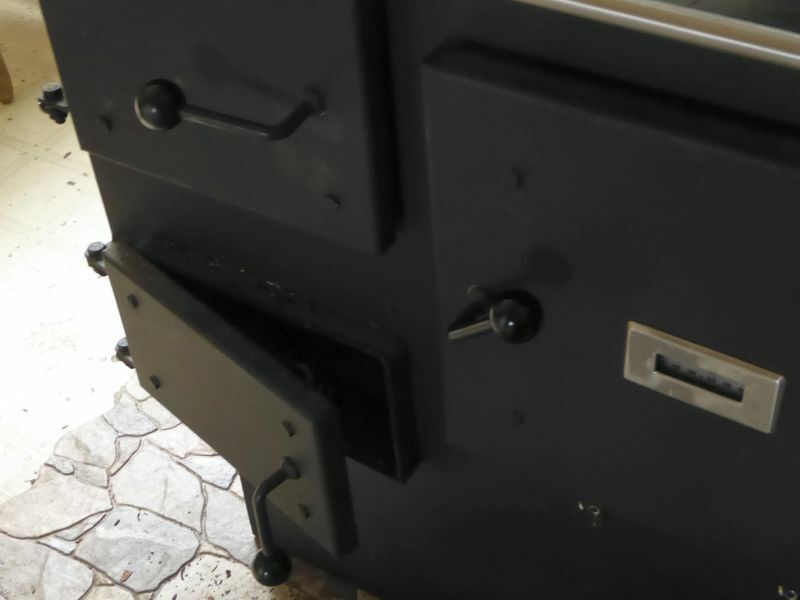 Do you have plans to cook/bake with this stove during the summer? I am wondering about the heat factor when the season is warm. The type of wood you use has an effect on the likelihood of a stack fire. Softer woods tend to deposit creosote and so does lower temperatures. Using harder wood types will help. Then, make sure you bring the stack temperature to over 400 degrees at least once a day to melt your creosote. I had one stack fire the first year had our Pioneer Princess. Since then we have used better wood and I make a point of getting the temp up at least once each day we use it. Now, when cleaning it -- only once a year before the season starts -- the creosote is found to be "light and fluffy," which we were told is the way it should be: less likely to burn long and hard. AtomicSpud, be careful. This sounds to good to be true. The Washington Public Fire Educators Association agrees. 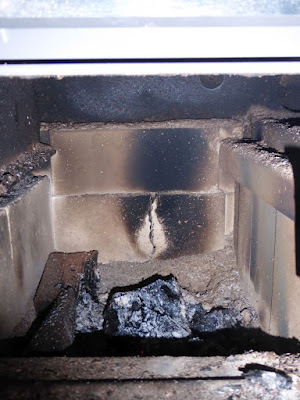 PLEASE read this before discontinuing regular mechanical chimney cleaning. I Didnt say Skip the Manuel Cleaning... I Said Skip the Fires. and If it was too good to be true the wount still be on sale for the last 30 years. I remember the Commercials from when I Was about 9 years old. 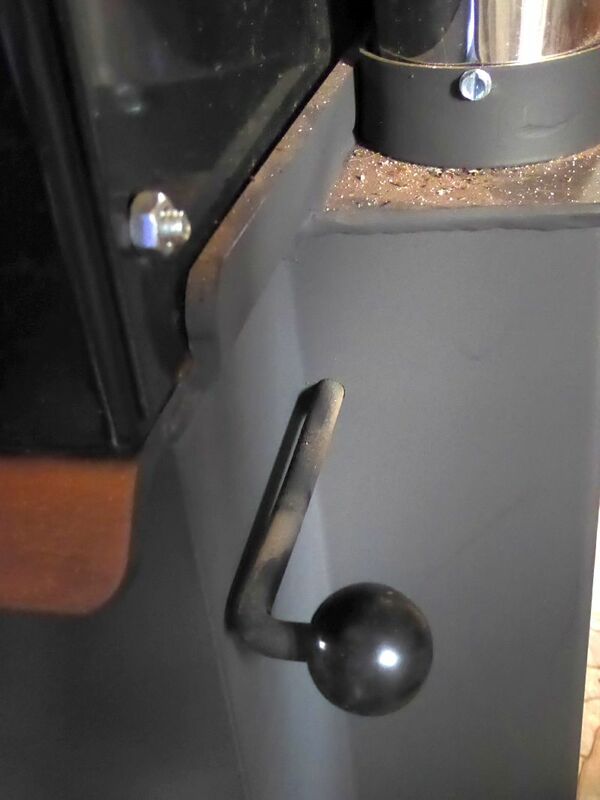 At Scouts , everytime we got a cabin that hadn't been serviced in "He knows How Long" the first burn was one of these so we wouldn't have to worry about Chimney Fires while we were there. Burning a mix of mostly pine and some aspen, we would need to clean the pipe about ever 6 weeks. Now we use about 2+ cords of aspen only and no longer clean the pipe. Use to go up every fall and run the brush up and down because of habit. No longer even do that since going to only aspen. 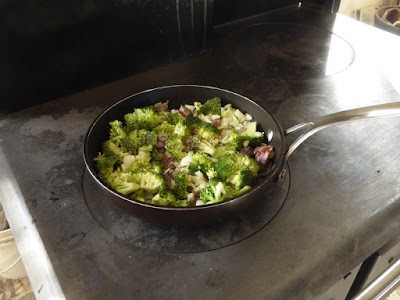 Awww....the joys of a wood cookstove. Sure didn't learn how to use mine in home ec! So happy to hear that you are loving it. 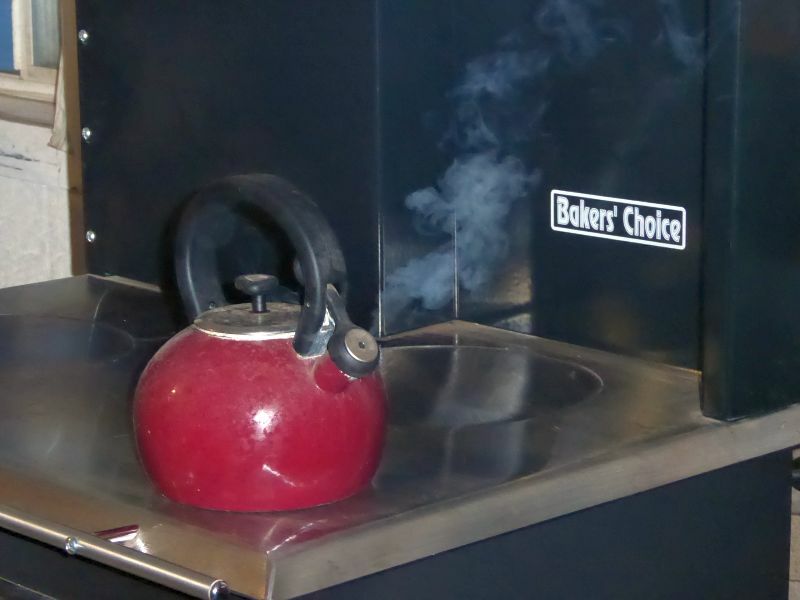 We have 2 tea kettles on our wood cook stove at all times. We put them on a horse shoe so they are not so whistling hot even on the "cool" side. When you want hot tea move one off and onto the "hot zone" till she whistles. Pampered Chef has stoneware that works awesome in the wood cook stove btw. I've heated and cooked with wood for decades. 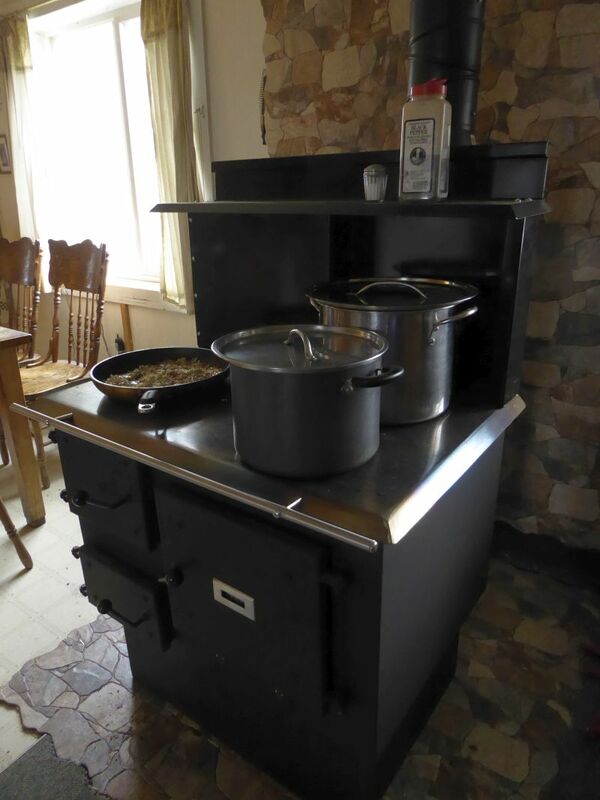 I started with a sheet metal sheep herders stove in the Colorado mountains then to a Woodstock soap stone stove and now to a Morso 2B here in Wisconsin. I use it without any other source of heat. I picked the Morso because my cabin now is small and the most important thing about wood stove is picking the right size stove. The other is installing the stove and chimney exactly to code. The wood stove is probably the most dangerous thing on any property. They're great but will bite you if given the chance. If I had the room, I'd have gotten an Elmira cook stove made in Canada. It's air tight and very beautiful, unlike the Bakers Choice. 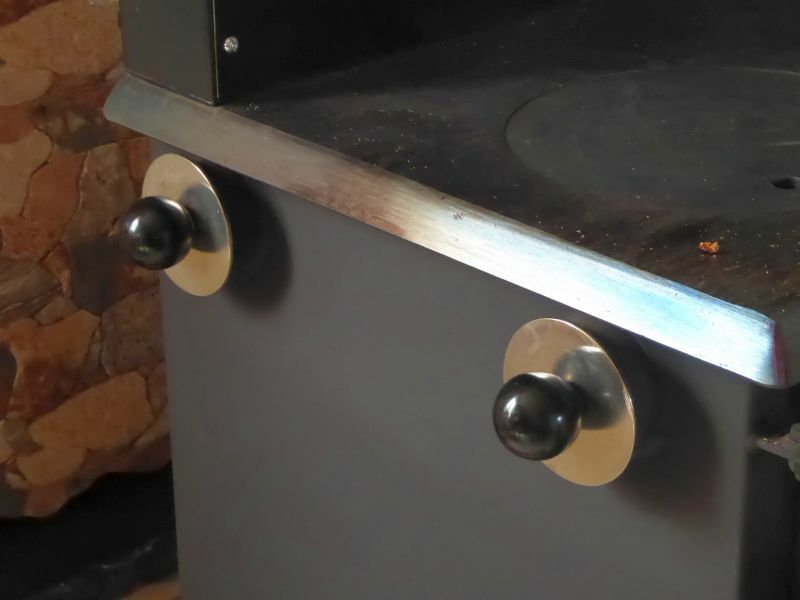 My Morso has a reburner just under the top that heats up the top of the stove enough that it makes a good cook stove. 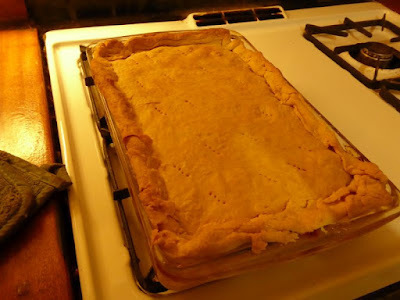 Not as good as a proper one but still good enough that I cook almost exclusively with it in winter. A dutch oven provides some baking ability. I would say the best bet for using a wood stove is to surround it with lots and lots of masonry. Once the walls and floors get heated they stay that way. My cabin stays nice and warm even in -25F and that little stove only uses an armful of wood a day. 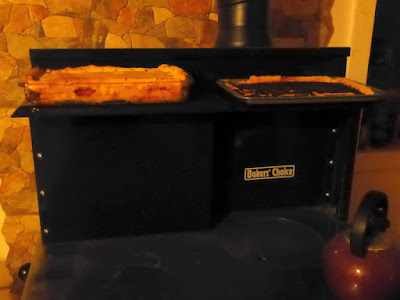 I have both the plain-Jane Baker's Choice and an expensive Irish Waterford wood cook stove. The Baker's Choice is in the front of my house where it has been our only heat source for years. While the Waterford has been relegated to the back addition and only gets used a couple times a year on really cold nights. The Baker's Choice may be plain and simple but it is a joy to use. ETA -- we just added an extra fire brick in front of the back brick that we bought at the hardware store. This takes the brunt of any logs just thrown in. It does mean that your wood needs to be cut an inch shorter, though. Your stove pipe outside, should be at LEAST 1 foot above peak of roof. Does anyone know of a coal burning cookstove? Patrice--Does the stove have a fresh air supply from outside or does it pull its combustion air from the house? Firebrick commonly come in two sizes, "full" and "split". A "full" brick would be used in a site-built fireplace. Your picture looks a lot like a standard "split" size. Take a look at your local brickyard.